He’s already taken the UK by storm with this, his self-titled debut album and his single “Black And Gold”. Australia has also started succumbing to his uber-now brand of cool dance-pOp charms. Don’t be mistaken – this is a man destined for top-of-the-chart greatness and he possesses all the tools that will help him get there. But if you’re fearful that it’ll all come crashing down in a haze of disco balls and LED-lit vests after just one single, think again! Rumoured follow-up single, “21st Century Life” is another pOp corker with a chorus that’s catchier than bird flu. 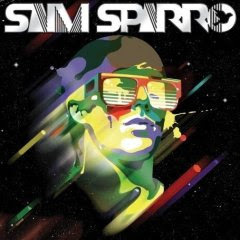 This Sam Sparro debut is a delicious blend of Prince meets Jamiroquai meets Goldfrapp funk/soul/pOp that’ll make you wanna chill, make you wanna sing, make you wanna drop your designer undies and dance around naked in the loungeroom with your bits on show for all to see. Debut albums don’t get much stronger than this.